Since day one at Howell-Oregon Electric Cooperative, Inc. (HOEC), our mission hasn’t changed. That mission is to be a leader in delivering cost efficient, reliable energy with value-added service to our member-owners. The HOEC office will close at 1:00 p.m. Friday, May 4, for preparations for the Annual Meeting of Membership at the West Plains Civic Center. Registration for the Annual Meeting will begin at 4:00 p.m. We hope to see you at the Civic Center! Howell-Oregon Electric Cooperative invites you to the 79th Annual Meeting of Membership Friday, May 4th at the West Plains Civic Center. Come early with the family and enjoy hot dogs, corn dogs, chips, drinks and visit with the many vendors during the registration period beginning at 4:00pm. As I look back over 2017, it was quite a year! It was a year filled with challenges for both the cooperative and, you, the membership. Congratulations to Taylor Van Steenis of Eminence High School and Tiffany Jo Daugherty of Bakersfield High School! They have been selected as delegates to represent Howell-Oregon Electric Cooperative, Inc., at the Cooperative Youth Conference and Leadership Experience (CYCLE) in July later this year. 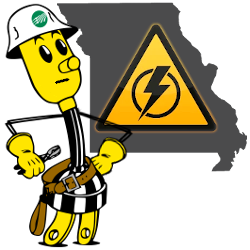 On Friday, March 23rd at 4:30PM, weather permitting, Sho-Me Power will be doing scheduled maintenance to the Willow Springs Substation. Members can expect to be without power for approximately 5 minutes. As always, we appreciate your patience and understanding. Officials with Howell-Oregon Electric Cooperative would like to remind members that on the morning of January 17th a peak level of electricity usage was set. The new peak level was set due to the extremely low temperatures that were recorded in the Howell-Oregon Electric Cooperative service area. The Geothermal tax credit is retroactive. Homeowners who bought a geothermal heating, cooling, and hot water system from January 1, 2017 until now will qualify for the 30% credit. The tax credit will be at 30% until December 31, 2019. In 2020 the tax credit will begin to phase out, dropping to 26%, and in 2021 it lowers to 22 percent. The tax credit will expire on December 31, 2021. Read more about Geothermal Tax Credit is Back!